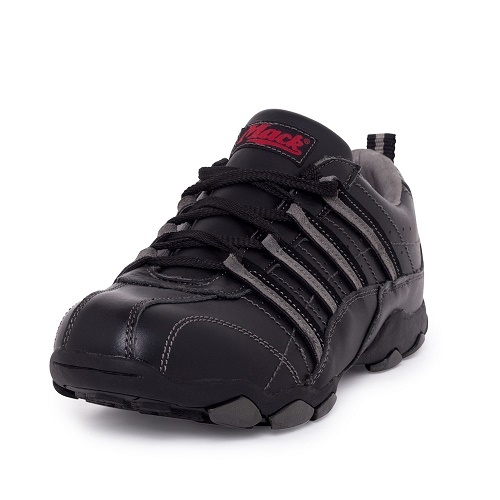 Lace up casual safety shoe that is perfect for a stylish smart casual look. The flexible sole design and silicone gel cushioned innersole ensure that your feet will be comfortable during a long day at work. Lace up leather shoe with leather padded collar. Soft non hydrophobic knitted mesh lining that wicks away moisture enabling the foot to remain cool and dry. Steel toe shoe complies with EN – ISO 20345, AS / NZS2210 and ASTM F2413 – 11 standards. Gel footbed offers ultimate comfort with heel and arch support. Flex grip outsole design offers superior grip.